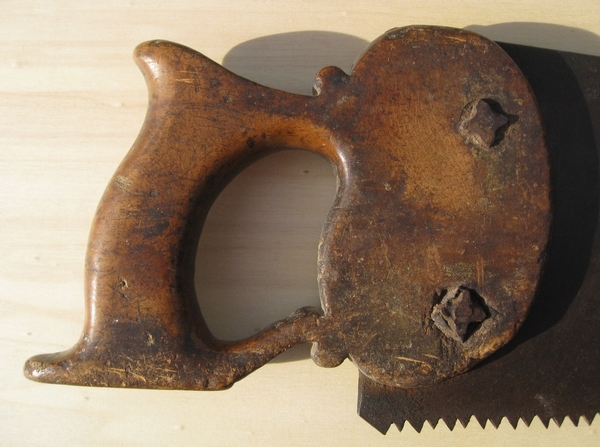 The following images are of an early to mid-18th century handsaw made by a British handsaw maker by the name of Dalaway. See The Chronicle of the Early American Industries Assoc., 66, no. 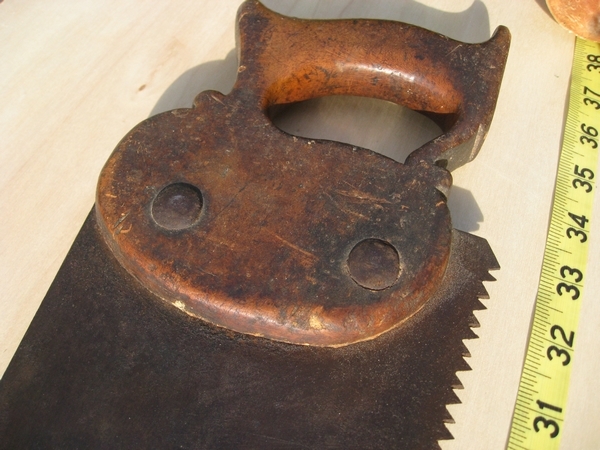 3 (Sept, 2013): 112 for my detailed description of both the original Dalaway saw and my reproduction. The overall length of the saw is 26 ½” with a 22 ¼“ blade length. 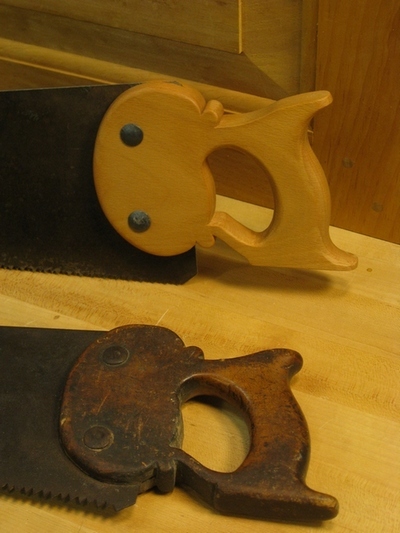 The height of the saw blade at the heel and toe are 5 ⅛ and 2 ⅞”, respectively. 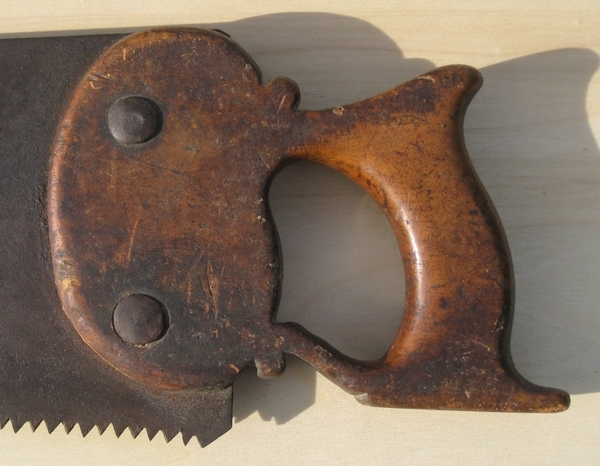 The handle measures 6 ⅝” long, 4 ½” high, and ⅞” thick. 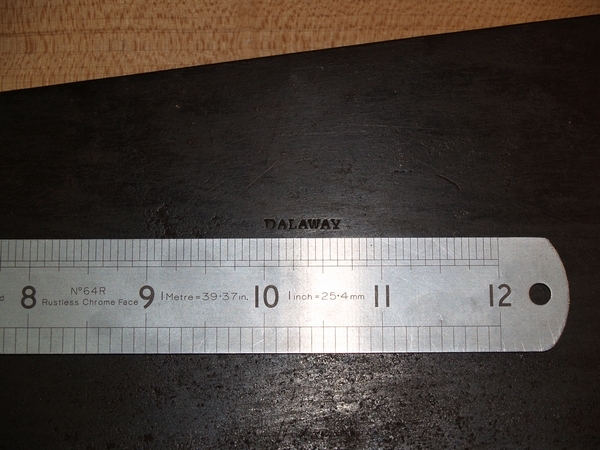 The DALAWAY maker’s stamp is just over 21/32 x 3/32”. 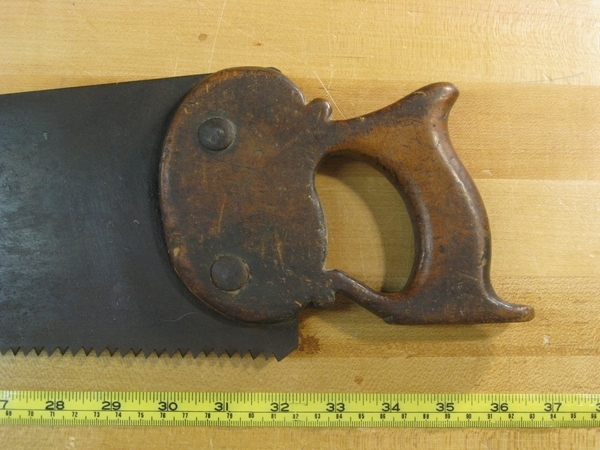 The weight of the saw is nearly 1 lb 12 oz. 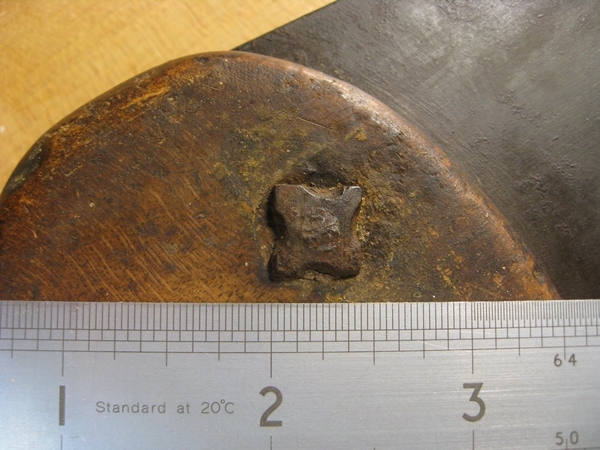 The saw plate is a clear example of mid-century English steel production. 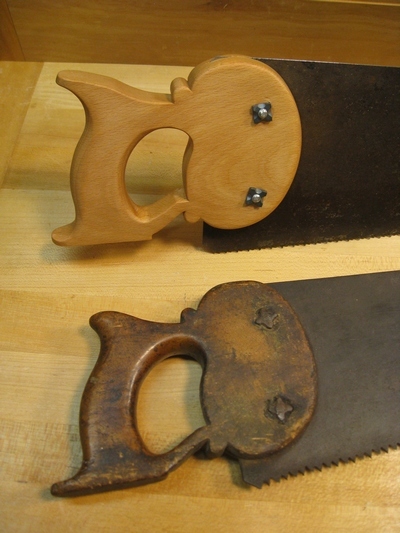 Compared to saw blades from the late 18th century and later, the Dalaway saw is relatively thick and non-uniform, averaging approximately 0.06” thick over the working surface. Thanks to Carl Davis for the generous loan of this important example of 18th c. British saw making.